For those of you that might not be familiar with the ASUS PadFone X, it’s a handy little smartphone that can be used only as smartphone for most normal day to day things, but can then be docked inside a tablet dock for use of the phone functions on a bigger display. Similar to the way that Motorola did with the original Atrix and its laptop dock, the ASUS PadFone X can allow for better functionality when a larger display is needed. 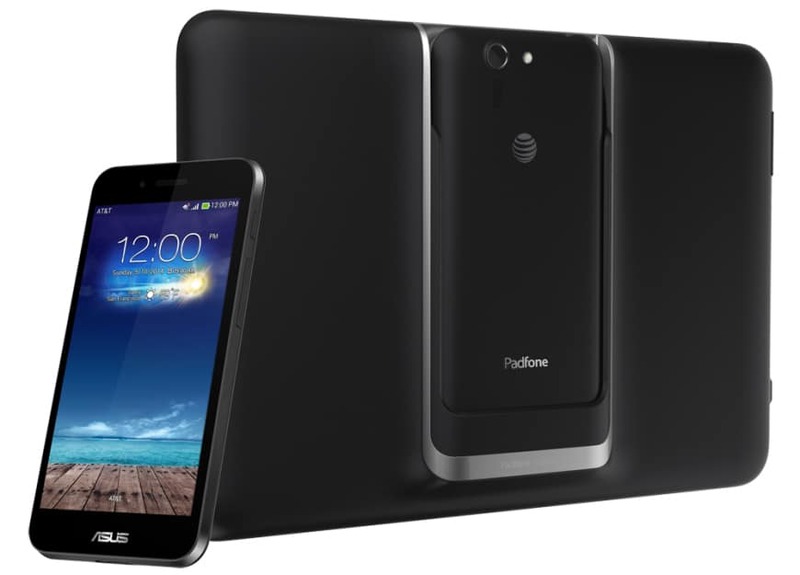 The device launch on AT&T will mark the first PadFone coming from ASUS to hit U.S. shores, and although we’ve known about the PadFone X going to AT&T for sometime now(since CES)and have seen it plenty before with ads and teasers, this newest commercial video shows off the phone one more time, but still doesn’t give any sort of timeframe for release. Surely with all the coverage that AT&T has been giving it though they have to be planning on an announcement of when this phone will be available, and hopefully they’ll be gearing up let customers know soon. The PadFone X already has a hurdle to clear with smartphone users for the fact that some people don’t see the need or benefit to having this device over another when they could just as easily use a proper tablet for their bigger display needs. The benefit though is having a seamless user experience between the phone and the tablet display, without having to worry about syncing, swapping, re-installing of apps, and the like. Everything can be done on one device, and then just mirrored more or less to the larger screen. Easy as that. There is a clear and definite focus on the business market with the PadFone X, as depicted in this video ad for the device that states users can “Get the business” with the ASUS PadFone X. The two gentleman in the commercial are obviously handling some high profile business deal as you can tell by their suits and spreadsheets. Once the business deal is over, the guy with the PadFone X easily moves back from business to personal by pulling the phone back out of the tablet dock and answering a call from who is probably his wife, or mistress, cause hey… with high profile business deals one could expect a high profile life. All jokes aside, the PadFone X definitely looks to be a promising setup for those users who might have the need for such a combination, and ASUS didn’t skimp on the specs either, as the PadFone X is said to be coming with a 13MP camera among other great specs. If you’re an AT&T subscriber, will you be looking forward to picking one of these up? The post ASUS PadFone X Makes Another Appearance In Latest Commercial appeared first on AndroidHeadlines.com |.